Brabus 190E 3.6S recreation. A legend comes back to life. We lost Bodo Buschmann, the creative force behind specialist tuner BRABUS, on April 27 last year at the shockingly young age of 62. Buschmann was a man with a penchant for power – and lots of it – who lived his short life following his mantra “never work for money – work for passion.” This 1989 Brabus 190E 3.6S recreation takes us back to the formative years of the firm. His creations were, and remain, technical masterpieces. And that somewhat contrary to his mantra they require mountains of money to obtain. Founding BRABUS GmbH in 1977, Bodo and pal Klaus Brackman set in motion the construction of a stream of modified Mercedes that continues robustly today. And many produced outrageous power and featured pugnacious cosmetics. One of my favorites was the sinister fender-skirted 800 HP 2010 E V12 ‘Black Baron’ that the firm claimed could touch 230 mph. At that time a staggering $875,000 was required to place one of the ten Black Barons constructed in your garage. And the firm has plunged aggressively into the classic Mercedes restoration business via their Brabus Classics division. One capable 190E. 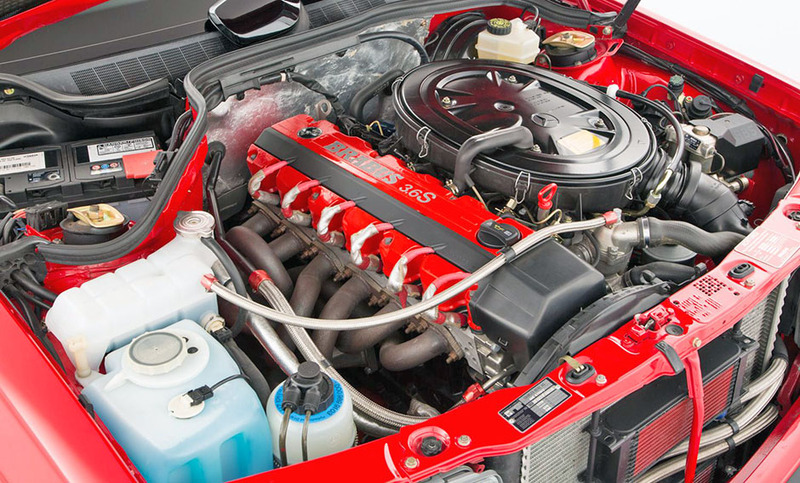 The recreation produces 268 HP and is fitted with a selection of suspension modifications. Interior is bereft of its rear seat and features a roll bar and lightweight seats. 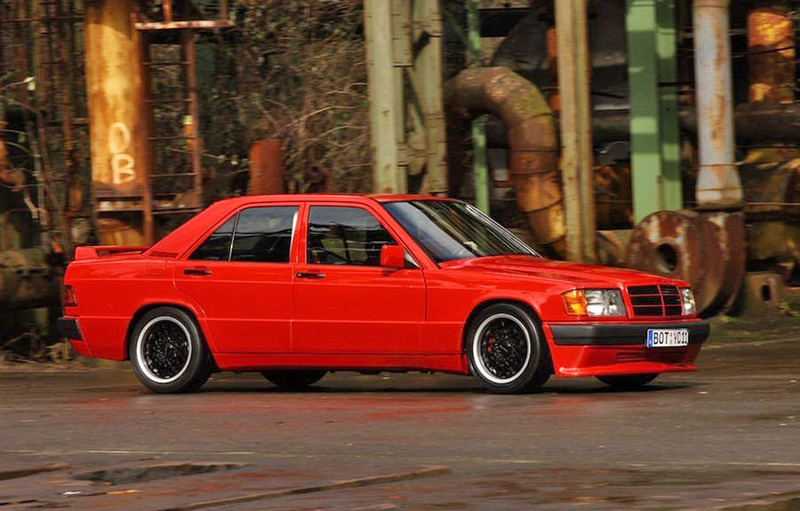 Buschmann wanted to emulate Mercedes in the mid-’80s and provide another lively, crisp handling mid-size sedan. Mercedes had launched the 180 HP 190E 2.3 16v in late 1983 to much acclaim but also to mild disappointment with the car’s meager power. What was needed for a proper modified 190E Buschmann reasoned was additional displacement, less weight and sharper handling. Orchestrating a stunning business agreement in 1984, Buschmann contracted with German rental car behemoth SIXT Rental to provide a fleet of 200 190Es fitted with the tuner’s performance upgrades. The plan enabled SIXT to differentiate itself from its competitors and provided massive awareness for the fledgling BRABUS brand. I have to admit that I’ve never been aware of these cars and have to conclude that one of the original SIXT cars is indeed a collectible young classic. The fruits of the BRABUS/SIXT rental car collaboration: a few of the 200 tweaked 190Es ready for delivery to SIXT. This Brabus 190E 3.6S recreation echos the one-off lightweight created by BRABUS in 1988 as a PR vehicle with a much harder edge than the SIXT Rentals. Starting with a 190E 2.6 5-speed in 1988, Bodo’s technical department created a mini-monster with 250+ HP, Bilstein shocks, Eibach springs, lightweight bucket seats and a nicely integrated body it. The interior was relieved of its rear seat and also fitted with a stout roll cage. After fulfilling its PR duties as a tire smoking giant killer the original car was converted back to road trim, upgraded with a 24 valve cylinder head and sold on. With the original car long gone BRABUS PR man, Sven Gramm, decided to create a near duplicate for himself a few years ago. After sourcing a 190E 2.6 with a manual gearbox from an elderly local gentleman, Gramm had the basis for is recreation. Drawing on the knowledge of senior current BRABUS technicians who worked on the original car, he has put together a new 3.6 lightweight surprisingly faithful to the original. The result is stunning and carries at its heart a bored 3.0 liter 12 valve M103 engine constructed by the same fellow that constructed the original. As we see from the images, Gramm’s project is a gem and is consistent with BRABUS’ 42 year ethos of transforming a Mercedes-Benz to an individual specification of the highest quality. And Gramm’s masterpiece happens to be for sale: $172,618 takes it. A 3.0 liter 12 valve 300E engine was the basis for Gramm’s recreation and returned 286 HP after various tweaks and enlargement to 3.6 litres.